Dimensions 1.25 by 7.25 by 9.75 in. The new edition of an introduction to computer programming within the context of the visual arts, using the open-source programming language Processing; thoroughly updated throughout. The visual arts are rapidly changing as media moves into the web, mobile devices, and architecture. When designers and artists learn the basics of writing software, they develop a new form of literacy that enables them to create new media for the present, and to imagine future media that are beyond the capacities of current software tools. This book introduces this new literacy by teaching computer programming within the context of the visual arts. 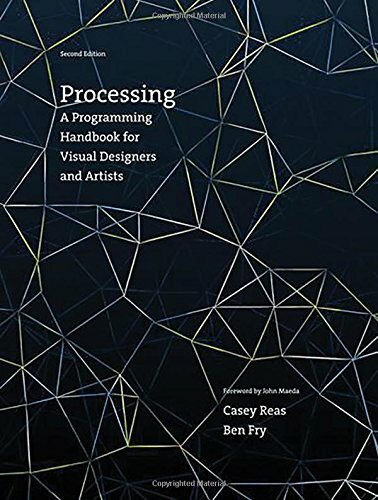 It offers a comprehensive reference and text for Processing (www.processing.org), an open-source programming language that can be used by students, artists, designers, architects, researchers, and anyone who wants to program images, animation, and interactivity. Written by Processing's cofounders, the book offers a definitive reference for students and professionals. Tutorial chapters make up the bulk of the book; advanced professional projects from such domains as animation, performance, and installation are discussed in interviews with their creators. This second edition has been thoroughly updated. It is the first book to offer in-depth coverage of Processing 2.0 and 3.0, and all examples have been updated for the new syntax. Every chapter has been revised, and new chapters introduce new ways to work with data and geometry. New âsynthesisâ chapters offer discussion and worked examples of such topics as sketching with code, modularity, and algorithms. New interviews have been added that cover a wider range of projects. âExtensionâ chapters are now offered online so they can be updated to keep pace with technological developments in such fields as computer vision and electronics. About: The new edition of an introduction to computer programming within the context of the visual arts, using the open-source programming language Processing; thoroughly updated throughout. About: It has been more than twenty years since desktop publishing reinvented design, and it's clear that there is a growing need for designers and artists to learn programming skills to fill the widening gap between their ideas and the capability of their purchased software.